Jack London Square's inaugural Pedalfest celebrates the bicycle. Joshua Thwaites rides the Whiskey Drome. It all started with a photograph. Joshua Thwaites, a member of the Santa Rosa-based bicycle group Whiskeydrunk Cycles, was thumbing through a copy of The Noblest Invention: An Illustrated History of the Bicycle, when he stumbled across an old black-and-white picture of four cyclists circling inside what looked like the bottom half of some oversize whiskey barrel. He showed the strange image to his friends, and after doing some research they determined that it was a snapshot of Keith's Bicycle Track, a traveling stunt show from the 1900s. "We decided we needed to build it," Thwaites said. And so the quirky group of bicycle lovers set to work recreating the turn-of-the-century contraption. They sketched out plans, gathered materials, and finally cobbled together the vintage-inspired board track. After about two weeks of construction and $3,000-worth of wooden boards, wire ropes, and other reinforcing materials, the Whiskey Drome was born. Thwaites was the first to give it a spin. "It was a hoot. It was a dream come true," he said of his maiden voyage. 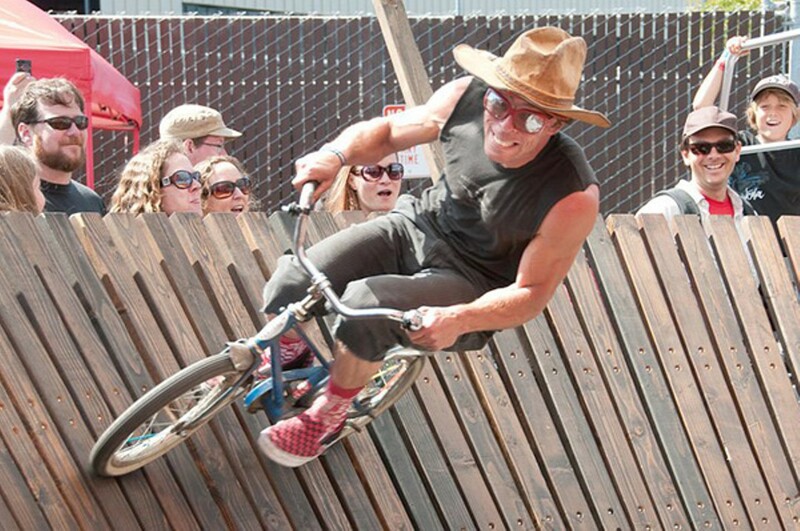 The Whiskey Drome is just one of many bicycle-themed attractions and activities planned for Jack London Square's first-ever Pedalfest (Water St. between Clay and Harrison sts., Oakland) on Saturday, October 22. It is, most likely, the biggest bike festival ever to hit Oakland's streets, and a befitting celebration in a city crawling with cyclists of all sorts. Because the event includes everything from BMX stunts to a vintage bicycle show and a children's bike parade, it's safe to say that there will be a little of something for everyone with an affinity for two-wheeled transport — whether that be the helmeted, safety vest-wearing commuter crowd or the fixed-gear-riding cool kids. How two color-obsessed CCA graduates turned their passion for nail polish into a profitable pursuit. Mishap Science Fair returns for an evening of booze, bands, and hands-on, science-y art.